It doesn’t happen too often but it CAN happen – smoke alarm no smoke. Yes, your smoke alarm can go off when there is no smoke. One possibility is dust. The Handyguys discuss how to deal with a Smoke alarm no smoke situation cause by dust. another tip when it comes to smoke detectors. 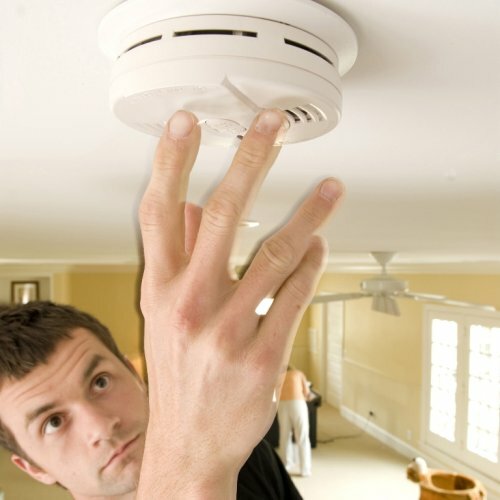 When changing your batteries (when you change your clock spring and fall) on smoke detectors, vacuum out you detectors. This will help avoid any issue related to dust. Another thing that strangely seems to set off the smoke alarm is steam from the bathroom, very odd as it couldn’t be any more different from smoke!! Yup, makes a good case for vent fans in the bathroom.